For those seeking accommodation in accommodation establishments that offers a good quality / price rapport 3 star pensions are the best choice. 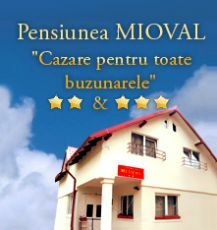 Pensions best reflect the style specific of Romanian hospitality and traditionalism, especially for those who want to discover the city of Cluj Napoca and its history. Services meet the expectations of any tourist, rooms are equipped, depending on the pensions, with private bathroom with bathtub or shower, TV, radio, table with chairs, hairdryer, fridge, central heating and air conditioning. Among the free services offered include tourist information and leaflets, receiving and sending messages, receiving and sending mail, luggage storage, daily newspapers, taxi, coffee, cakes and parking in the yard. 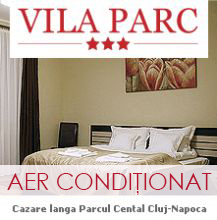 3-star guesthouse are located in the vicinity of the points of interest and the most important sights of Cluj Napoca. Also, these hostels are located close to public transport, facilitating the movement between major areas of the city. 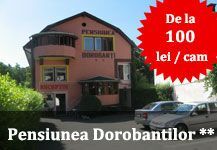 Prices for overnight accommodation starting from 90 lei / single room and can reach up to 170 lei / triple room.